Pharm. 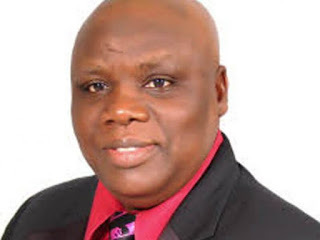 Ahmed Yakasai, President, Pharmaceutical Society of Nigeria (PSN), has bagged three awards in recognition of his numerous contributions to healthcare, public health development and capacity building in pharmacy. Yakasai received the three new awards within same month. The awards are ‘Kano Heroes Award on Public Health Development’ and ‘Leadership Award’ which he received from the Destiny Channels Broadcasts Network. The next award he received is, ‘Fellow, West African Postgraduate College of Pharmacists’ from the Kano branch of the West African Postgraduate College of Pharmacists. He also another award, ‘Icon of Pharmacy’ from the Kano State chapter of the National Association of Industrial Pharmacists (NAIP). The awards ceremony was held at Coronation Hall, Kano State Government House on April 14, 2018. Others who received awards on the occasion were late Alhaji (Dr) Ado Bayero, Emir of Kano; late General Murtala Ramat Mohammed, former Head of State; late Alhaji Yusuf Maitama Sule, Dan Masanin Kano; late Mallam Aminu Kano and late Alhaji Audu Bako, former governor. They also include late Alhaji Muhammadu Abubakar Rimi, former Kano governor; Dr. Abdullahi Umar Ganduje, current Governor of Kano State; Alhaji Mohammed Badaru Abubakar, Governor of Jigawa State, Malam Ibrahim Shekarau, former Governor and Sardaunan Kano. Recall that Pharm. Yakasai had won several awards in the past because of his sterling leadership qualities and service to the nation in the pharmaceutical sector of the economy. One of the most recent include the Award of Excellence at Dubai International Pharmaceuticals & Technologies (DUPHAT) Conference & Exhibition 2017 in Dubai.